Between June 11th and 13th, Chicago’s 4.2 million sq ft Merchandise Mart will welcome over 50,000 A+D professionals and contract furniture specialists from all over the world, for none other than NeoCon’s 50th anniversary. The golden jubilee, NeoCon 50, will see the event celebrate 50 years of Tomorrow’s Design, along with presentations, panels, keynote speeches and exhibits from some of the most creative minds and brands in the world. This year, some of the leading names in design and beyond will be speaking, including Art Gensler (founder of Gensler), Cheryl Durst (EVP/CEO of the IIDA), Cindy Allen (Editor-in-Chief at Interior Design), Nick Thompson (Editor-in-Chief of Wired) and Carol Ross Barney (Founder/Design Principal of Ross Barney Architects). Over 500 companies will be showcasing their newest products and designs in categories ranging from Furniture, Fabrics, Flooring, Interior Building, Interior Finishes and Technology. And on the education front, attendees will have over 100+ CEU programs and seminars to choose and learn from over the course of the show. As the excitement builds up, we thought we’d look at the last five decades and highlight a few of the many key events in the contract furniture industry that have shaped the world of interiors as we know it today. Contract interiors in mid-century North America were first-hand witnesses to the unprecedented levels of creativity from designers who, today, are considered legends in the A+D community. The 60’s saw Florence Knoll assemble the best of product designers to create furniture for Knoll, while she led the charge on office planning. At Herman Miller, George Nelson and Robert Propst were busy devising the Action Office. This was the first modular business furniture system to be developed, which also included low dividers and flexible work surfaces. In the midst of this design renaissance, the first International Contract Exposition & Congress was planned for Chicago’s McCormick Place in March 1967 with more than 200 exhibitors. 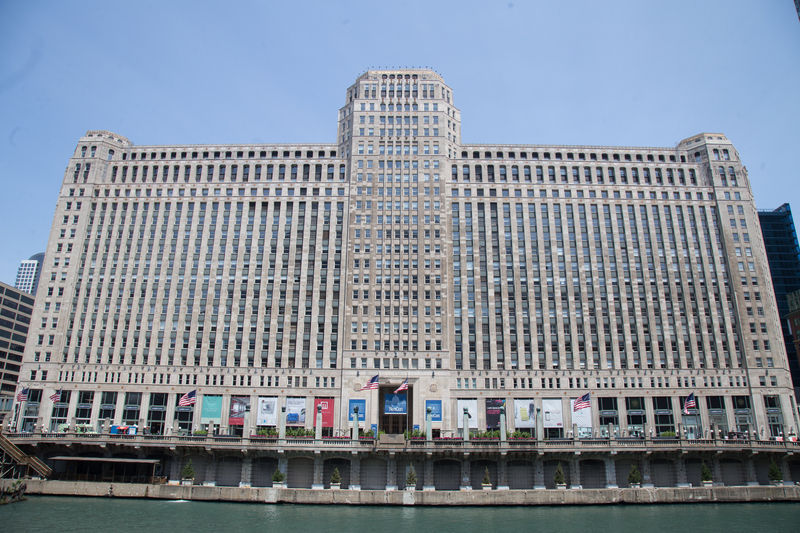 But a fire destroyed the venue, and the Merchandise Mart, already home to the best furniture showrooms, took on the task of creating the industry event that would become NeoCon. In the original letter that went out to potential exhibitors, The Mart’s General Manager promised, “This event will be open without charge to all who are involved in the design, specification, purchase, and use of products for non-residential interiors and will feature the most extensive and representative selection of contract goods under one roof.” – W.O. Ollman, Mart General Manager, from November 1968 press release. Little did he know, NeoCon would grow to become THE Platform for the Commercial Interior Design Industry. In 1969, The first annual National Exposition of Contract Interior Furnishings was held between June 22 and 27, and was host to 750 exhibitors. More than a hundred speakers and moderators participated in the inaugural seminars and lectures. The scale of the event was unlike anything the industry had seen before. Commercial Office Design was now a booming business and an essential part of the interior designer’s toolkit. Business was booming; but it was imperative for the community to set standards and move the profession in a forward-facing direction. BIFMA was formed in 1973, followed by ASID two years later – huge milestones for the contract furnishings industry. One of the new rallying cries was environmental consciousness. The United Nations held its first global Conference on the Human Environment in Stockholm in 1972. The energy crises of 1973 and 1979 also put pressure on business leaders to conserve energy. 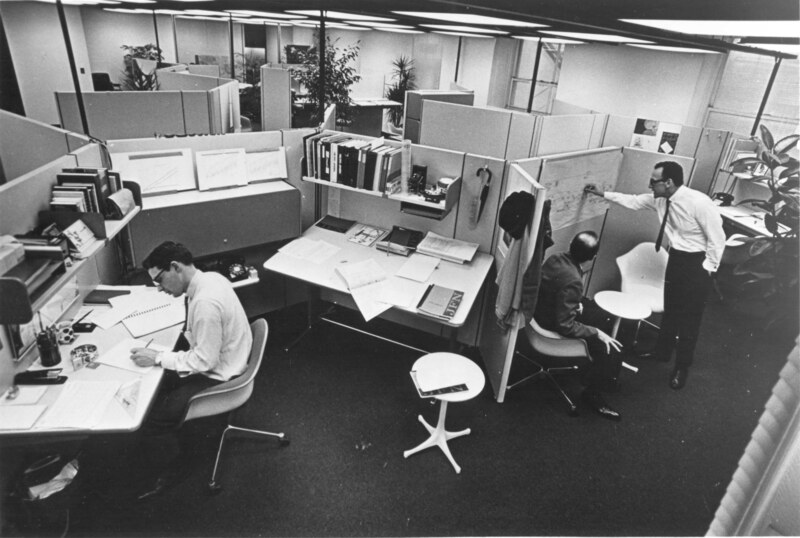 The 70s also saw cubicles enter mainstream office design. The 80’s saw the launch of a technology that would forever revolutionize, not just office design, but the world itself. 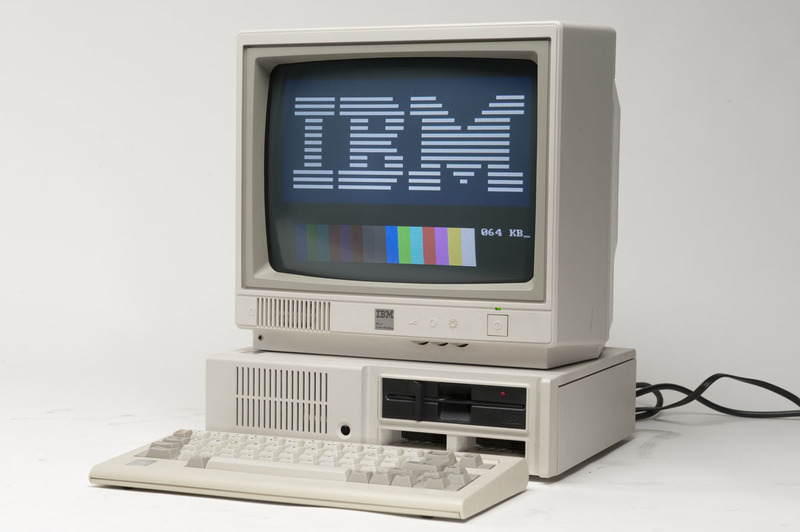 On August 12th 1981, IBM introduced the world to its first personal computer, the 5150. The addition of this new piece of tech sent designers back to the drawing board – it was now critical to design offices and products with the PC in mind. Apple’s Macintosh computer followed later in 1984, along with Microsoft’s Windows OS. Desktop computers began to change work and, by extension, how designers would approach workstations, with new demands for power and data connectivity. Computer dependent work also meant more face-to-screen time and less person-to-person interaction, leading to the use of more partitions so workers could focus on the task at hand. A consequence of this was the widespread adoption of cubicle farms that were prevalent during that era. Hot-desking also began to be used in some offices; borrowed from hot-bunking where submariners shared their bunks. 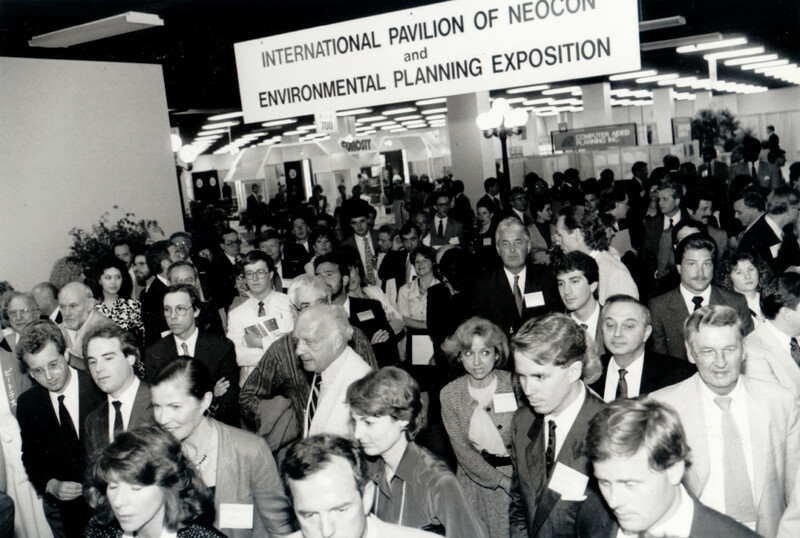 In 1982, NeoCon opened the Expo Hall, which has over the years become a platform for a whole host of special exhibits as well as a launchpad for emerging manufacturers. In the same year, Alabama became the first state in the United States to regulate the use of the title ‘Interior Designer’, and since then a total of 22 states have enacted some type of government-sanctioned interior design regulation. With computers now as ubiquitous as task chairs in the workspace, ergonomics became a constant hot topic in the industry as people now had to adjust to a new way of sitting. 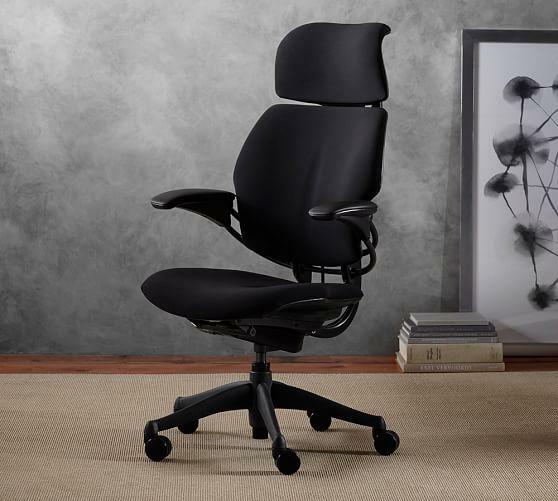 Manufacturers focused their design and marketing efforts to show consumers how each of their products was ergonomically superior to the rest. While the major books on ergonomics —Henry Dreyfuss’s The Measure of Man and Niels Diffrient’s Humanscale— came out in the 1960s and 70s, it wasn’t until computers became mainstream that ergonomic task chairs became de rigueur. The decade of certifications and rigorous industry standards. 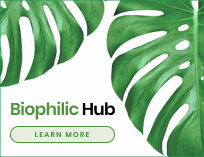 Sustainability is now high on the agenda for nearly all interior design and specifiers are making more sophisticated demands for environmental performance. The industry is now educated and aware of the impact their choices leave on the environment – from sourcing to manufacturing to the end user. The decade opened with the unveiling of the Leadership in Energy and Environmental Design (LEED) certification system. In 2002, chemist Michael Braungart and architect William McDonough published Cradle to Cradle: Remaking the Way We Make Things, which suggested a new manufacturing paradigm. Many companies quickly made significant strides. Designtex, for instance, was able to offset the full carbon footprint of its global operations — the kind of achievement that would have been inconceivable in a previous decade. 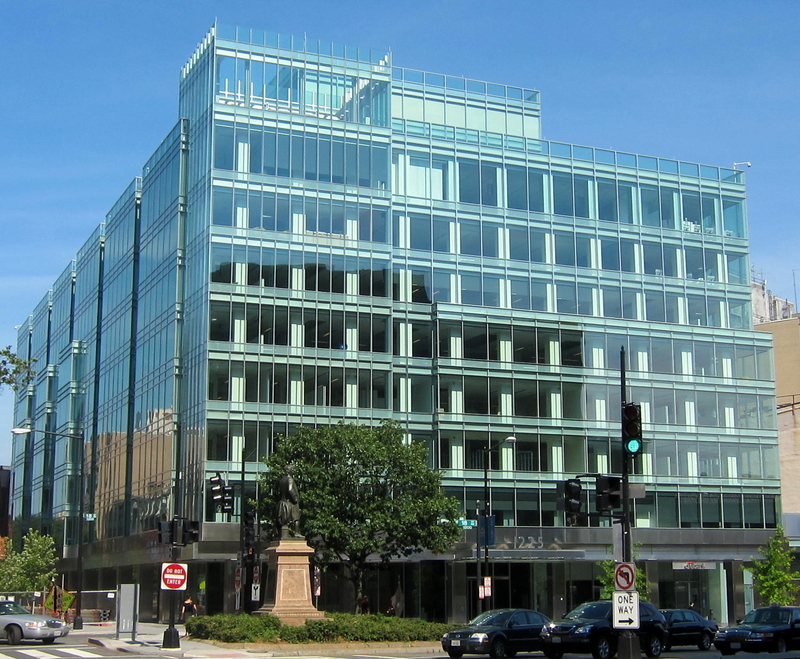 In 2000, the USGBC unveiled LEED. In March of that year, they announced the first 12 buildings (new constructions) to be certified under LEED version 1.0. By May, an updated version was released. The following year, scientist Dr. Marilyn Black established the Environmental Institute in 2001, bringing indoor air quality and emissions into the purview of sustainability with GreenGuard Certification. In 2006, BIFMA created Level as a third-party environmental and social impact certification program. The certification contributes to several sustainable buildings rating systems. Five years later, in 2008, the National Science Foundation (NSF) launched a sustainability program for companies to reduce the environmental impact of products, supply chains and operations through a range of standards applicable to various industries. We’re at an incredibly interesting moment in the timeline of the contract furniture industry. The start of the decade witnessed the world reeling from the great recession of 2008, a shockwave that left no industry unscathed. While interior design eventually bounced back from the economic setback, the cultural repercussions changed commercial spaces forever. 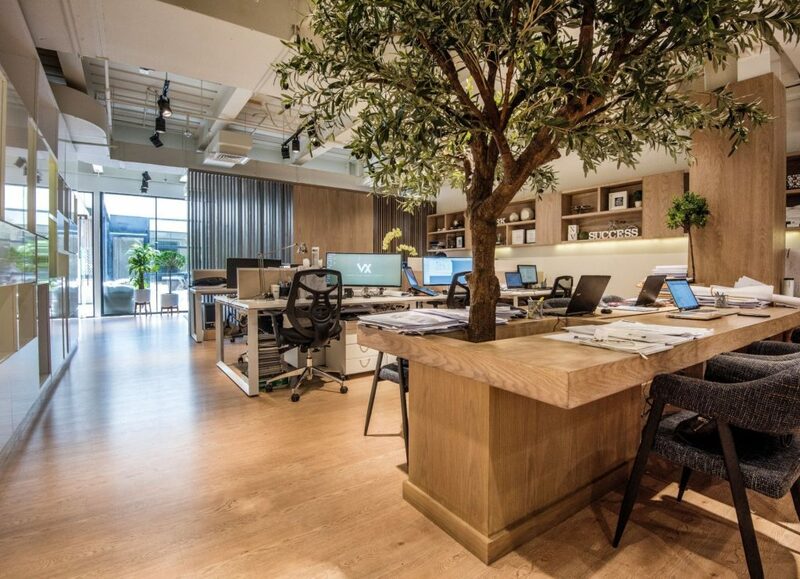 Reduced budgets and cost-conscious clients forced design firms to think creatively, leading to more firms embracing open plans and benching systems. But more importantly, the start of the decade marked the rise of the start-up generation. Entering the workforce at a difficult juncture and finding few opportunities, the millennial generation began to create its own, launching a host of tech-savvy, counter-traditional start-ups. The proliferation of wireless technology, faster and smaller devices, and cloud technology meant employees were not tied to their desks anymore. As both employees and entrepreneurs, millennials were digital natives who adopted iPads and telecommuting with great ease; they were cause-driven and brought urgency to ecological and social concerns, and their easy blending of personal and professional goals transformed office culture. In 2014, the WELL Building Standard was established. Founded by Paul Scialla, the International Well Building Institute was created to focus on the intersection of human health and real estate. The institute’s WELL Building standard certifies spaces that promote well-being and was designed to integrate with LEED certification. The year 2016 saw Interior Design launch its HiP Awards to honor the most notable products and industry people of the year. Millennials and Generation Z now comprise the majority of the workforce, which can mean several things. Among them, it means the workforce today is far more comfortable with new technology, and at times, can be more demanding of their workspaces. 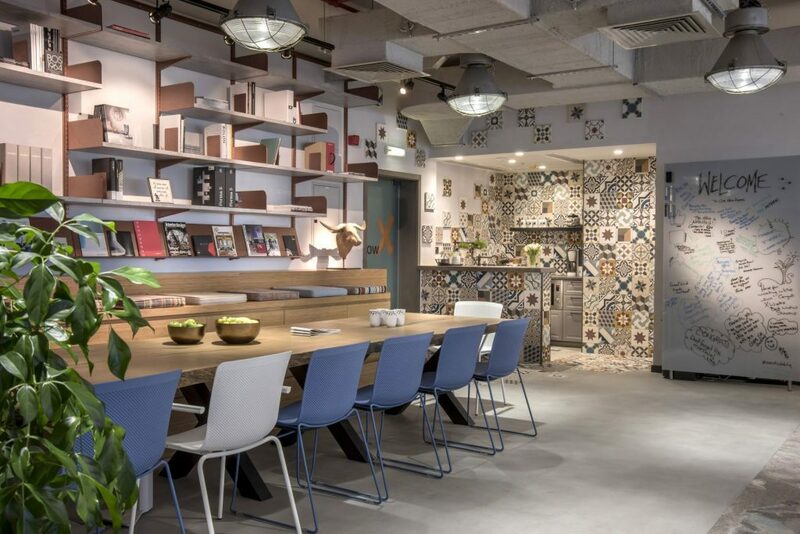 Office design is being transformed by coworking and virtual reality, even as big data and smart technologies drive new modes of office planning. Trends in residential, hospitality, health-care, education and workplace interiors continue to converge and intersect. Human well-being is emerging as a new benchmark for good design, as is inclusivity for people of all abilities, genders and ages.